The Vlatava River wraps the city as in the crook of an elbow. A castle was built on the hill opposite by 900. 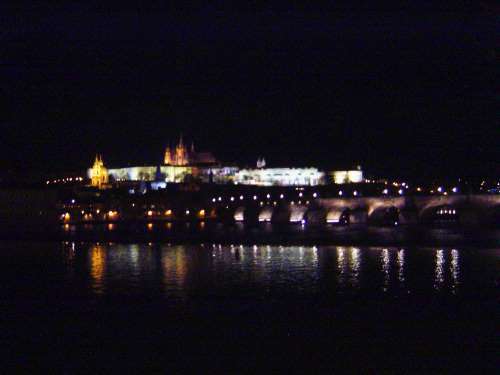 It too--Prazsky Hrad or Prague Castle--is artfully lit.